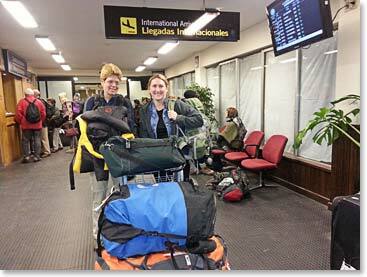 Bolivia Expedition Dispatch: May 29, 2014 – Chris and Micheline Arrive in La Paz! 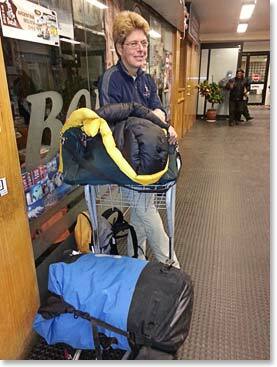 May 29, 2014 – Chris and Micheline Arrive in La Paz! We talked to Osvaldo this morning and he let us know that both Chris and Micheline had arrived in Bolivia. They were on the same flight from Toronto to Miami and then onto La Paz Bolivia. They arrived in Bolivia early in the morning at 5:15 am. They were met at the airport by their BAI guide and were transferred to the Hotel Europa. Incredibly, the city of La Paz sits at 13,300ft/4,100m above sea level which means they had already started the acclimatization process from the moment they got off the plane! After the girls arrived at the hotel they took some time to relax and rest after their long flights. Around 9am the team all met together to have a quick orientation and expedition briefing. Tomorrow they will travel to Copacabana where they will spend a few nights on the edge of Lake Titicaca. Chris and Micheline arrived in La Paz from the same flight from Toronto Canada. Chris excited and ready to begin her fundraising expedition “Climb for Paws”. To send donations for Chris’s fundraiser “Climb for Paws” and to help her raise awareness for the plight of streets dogs by supporting the two charities “Pets Without Vets” and “Potcake Place” click here for her website.